This series was done in 5 square meters with only one person, it shows the hardness and physical marks caused by the task. A special thanks to all those involved in this series. It was an honor to meet all the people and their lifes: thank you. A village with 3 families dependent of the tobacco industry. 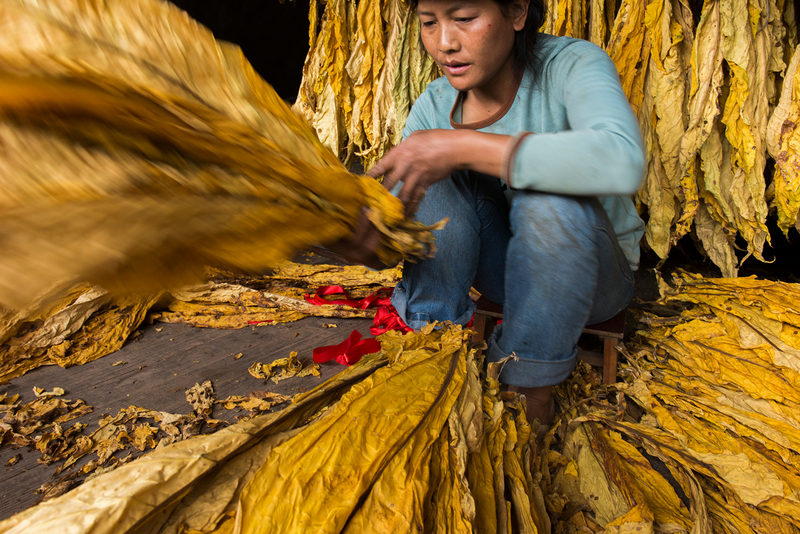 This series shows one stage of several in the tobacco industry. After the leaves are dried in the oven they are hung in the air for a few days. This is the next phase: the remotion of rotten parts from all leaves. It shows one person with the hands runs through all the leaves one by one and removes all the spoiled pieces. It was done in 5 square meters with only one person, it shows the hardness and physical marks caused by the task.